In a previous post, we wrote about how ICTs were helping people all around the world respond to the Nepal earthquake. Today, Luther Jeke takes a closer look at the mapping efforts during the response. Do you remember where you were the morning of April 25, 2015? I will never forget. I was at my home in Washington D.C. catching up on emails and the news. I was shattered when I saw the headlines for the earthquake in Nepal. The 7.8 magnitude earthquake that was going to later claim more than 8,800 lives and injured more than 23,000. I’m based in Washington D.C. through the Atlas Corps fellowship and have Nepali friends in the fellowship here as well. After getting the details of the devastation in Nepal from several news sources, I reached out to the other Nepali fellows, including Samita Thapa, who is based at TechChange. I knew that Nepalis who were living abroad may feel helpless being so far away and I had the thought: what if they could volunteer digitally? But just having a digital mapping community isn’t enough. Having local information and networks on the ground is crucial, so the three of us coordinated a group of Nepali volunteers to assist the SBTF digital humanitarian efforts that mapped the Nepal earthquake by analyzing social media content. Together, we were able to recruit around 200 Nepali volunteers who tirelessly helped the mapping team by feeding, translating, and verifying information from our social media network in and out of Nepal. We were constantly on Facebook, Twitter, and Skype over a period of two weeks to help with this digital humanitarian deployment and to map the crisis. We helped the SBTF collect, verify and map over 1,000 lines in the information management database of the Nepal earthquake. About 5 million tweets were processed by the Artificial Intelligence in Disaster Relief platform (AIDR). Our volunteer group was instrumental in helping the SBTF click through more than 60,000 images and 10,000 messages that were being geolocated onto this map below, with around 200 volunteers joining the Nepal Advisors deployment. The data was used by many humanitarian organisations like Doctors Without Borders, Nepal Youth Foundation, Government of Nepal, governments of various other countries responding to the earthquake, and more. It has been used to assist and accelerate the coordination of humanitarian groups on the ground. We processed an extraordinary range of data streams during the 12 days of the deployment and geolocated pictures and messages of needs and offers of assistance, provided maps and tables and supported other organisations and groups to streamline their processes. Our team worked closely with many other groups throughout this deployment. You can read about our efforts and success over on the SBTF blog. I have learned from my mentor, Patrick Meier that anyone can be a digital humanitarian. All you need is a big heart and access to the Internet. I reached out to the Standby Task Force and with huge efforts from Medha and Samita, we founded a volunteer group of Nepalis to digitally support the work of the SBTF in Nepal. To learn more or to get involved, check out their website here. They can alway use your support whenever disaster strikes. Digital mapping has been used in disaster response, maternal health, WASH programs, and more. Interested in learning more ways mapping is being used for social good? Sign up for our upcoming Mapping for Social Good online course now! Luther is an Atlas Corps Technology for Development Fellow serving at Creative Associates International (Creative). Luther provides support to the Technology for Development (T4D) unit which is responsible for incubating new ideas of how to use technology interventions at Creative. Learning about the latest in information and communication technologies for development and contributing innovative solutions are his two key missions at Creative. 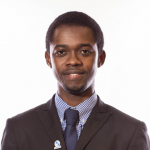 He has four year of experience in the nonprofit sector, and earned a Bachelor’s of Arts in Sociology and has a wealth of experience in the Information and Communication Technologies (ICT) sector. In his most recent capacity as iLabLiberia’s Director of Training, he and his team provided more than 3,000 Liberian and foreign nations the opportunity to use the innovation lab and gain new technology skills. You can learn more about Luther here. This post originally appeared on the Atlas Corps blog. Good post you have posted here which contain informative data. Expecting more from you here. Very fine post outlining issues and what you and your coworkers are doing. The phrase “digital humanitarian” is very apt!